When you are a baby, everything is measured in terms of milestones. First word, rolling over, crawling, walking, talking. When you are an adult, going to college, getting a job, getting married, and having babies are all common and important milestones. Will I ever get to do some of these things? Tonight, I saw some family that I hadn't seen in a while. We were all sitting around at my grandmother's house and the conversation shifted from silly jokes to talking about weddings, graduations, and new love. When these "milestone" topics come up, I find myself partially wanting to hear all the details, because these are all people I care about and love, but part of me just can't bear to hear it. It's just too hard to think about all of these things that I have not yet done, and may never be able to do. 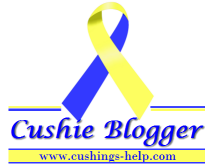 As the years have gone by while I have been dealing with Cushing's, Cushing's and more Cushing's, more of my family and friends around my age have been in serious relationships, getting engaged, getting married, and even having babies. I can't help but feel left behind. I know I have blogged about this before, but now, with this new diagnosis of MEN-1 hanging over my head with countless appointments, possible surgery, and maybe even cancer, I feel like the only thing in front of me is dealing with another huge medical issue. Most people at my age are starting careers, having serious relationships, buying houses, traveling, and even starting companies. But I'm still doing the same thing I was doing 5 years ago - trying to get well. "Well" seems further and further away each day. Every time I feel like I can taste it, it jumps a few years away from me. Will I ever be able to consider myself "well"? Will "well" ever be the truthful answer to "How are you?"? I wish I knew the answer. I wish I knew how much time I had before the next big obstacle. I wish I could be "well". I will pray for you. I know it's very hard. Being sick, you miss out on so much. It does sound like your family includes you so that is a good thing. I could have titled this "What Endocrine Disease and Disability Has Cost Me"